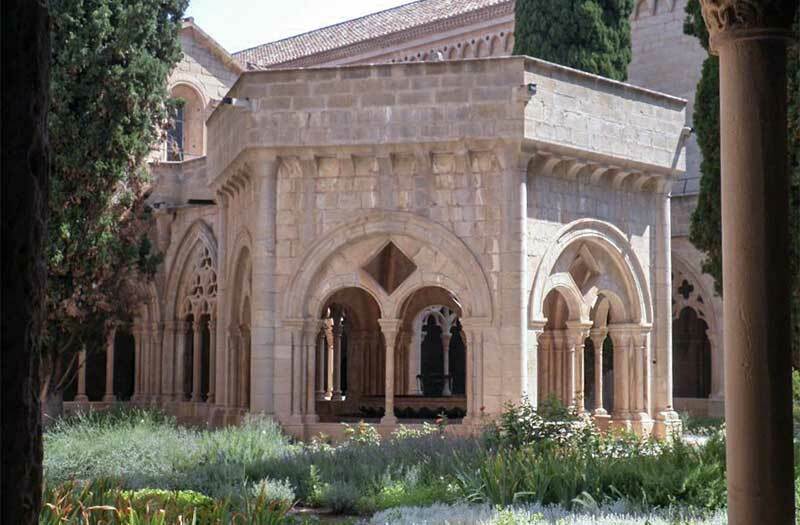 Monastery of Santa Maria de Poblet is a Cistercian monastery founded in 1151, by Cistercian monks from France. It has been a UNESCO World Heritage Site since 1991. My friend Christopher Johnson was there in 2013 and shares his photos. 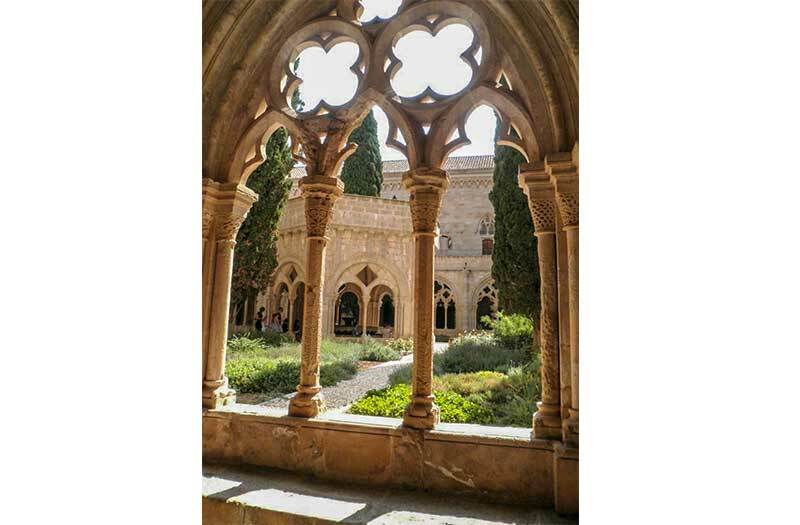 This is one of three sister monasteries (Poblet, Vallbona de les Monges and Santes Creus), the Cistercian triangle, that supported the consolidationof Catalonian power in the the 12th century. Peter III of Aragon (1239 – 1285) made a solemn oath when he was crowned that all the Aragonese kings would be be buried here. All but Ferdinand II or Aragon were. In and around 1835 there was considerable damage done to the Monastery, and valuable paintings and possessions were removed. In 1940, Italian monks commenced the repair and reconstruction of the monastery. The cloisters are described as evocative. 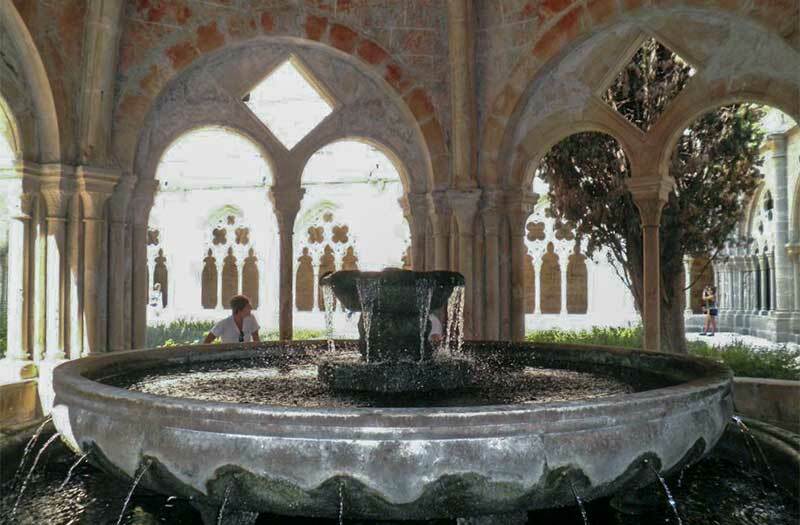 They include a pavilion, a fountain and open onto a series of rooms that include the Gothic styled chapterhouse. There, the tombs of the former abbots are set in the floor. There are also wine cellars, a parlour, a kitchen and a refectory. 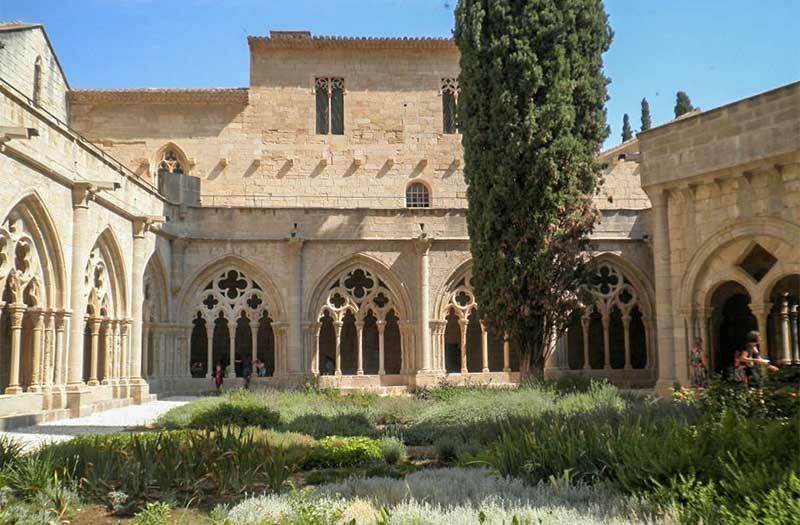 Three sides of the cloister are in gothic style, but one of the romanesque style remains. The fountain kiosk adds a lovely touch. Christopher thanks for the photos, and this is certainly on our list for a visit.